Slam & Go Darington is a stuntastic collectable Slam & Go truck. Push down on the back of Darington and watch him go! Darington is a stunt truck and the ultimate showman who loves to dazzle his friends with amazing tricks, even though he doesn't always stick the landing. This collectable plastic Darington truck is equipped with uniquely engineered Slam & Go action. Push down on the back of Darington to make him accelerate past the finish line! With Slam & Go Darington, kids explore the STEM principle of force. Force is when you push or pull something. When you slam down on the back of Darington to make him go, you're using force! 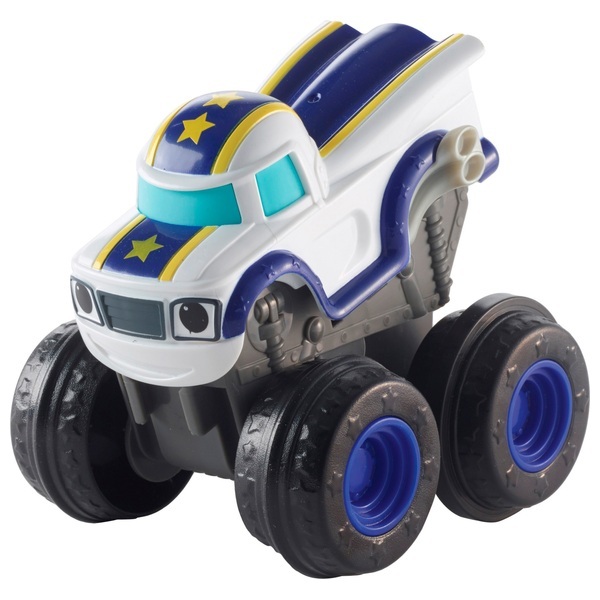 Your child can collect other Blaze Slam & Go trucks to recreate the great race and chase scenes from the Blaze and the Monster Machines television show!